KAMPALA– City Hall magistrate’s court has charged and remanded Phiona Natumanya a cleaner at parliament for allegedly conspiring with her sister Evas Kyasiimire to procure a miscarriage at parliament. The two sisters appeared before grade one magistrate Patrick Talisuna who formally read two charges to them including conspiracy to commit a felony and procuring a miscarriage. Prosecution led by Lydia Batiibwe states that Kyansimire on September 1, 2018 at Parliament-Development house office number 3.12 in Kampala being with a child; with intent to procure her own miscarriage unlawfully administered local herbs or any noxious substance and procured a miscarriage. 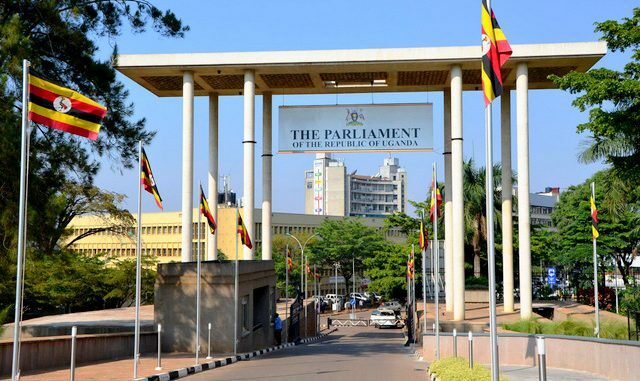 It is alleged that Kyansimire a resident of Mwitanzigye East village Kisiita sub-county in Kakumiro district had come to see her sister Natumanya who works at parliament as a cleaner. That while at parliament the baby came out and she threw it in the parliament dustbin where another cleaner picked it and showed it to the parliamentary security officials, hence their arrest. According to the evidence Kyasiimire was found hiding in room number 3.12 while bleeding a lot and feeling a lot of pain in her stomach. The two sisters denied the offences slapped against them. Mr Talisuna remanded the two at Luzira prison until September 27 as police investigations continue.